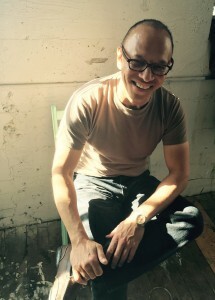 “The Traders,” a new novel by California State University, Northridge journalism lecturer Scott Shibuya Brown, was selected as a fiction finalist for the William Saroyan International Prize for Writing. The biennial competition commemorates author, artist, dramatist and composer William Saroyan and is presented by the Stanford University Libraries and the William Saroyan Foundation. Fifteen books are selected by three judges for each of the fiction and non-fiction short lists. A winner, who receives a $5,000 prize, and two finalists were named in each category. Brown said he was honored his latest book was selected as a finalist, noting that he didn’t write it for the money. “The Traders” is told in the first-person narrative of Cecil Po, a 58-year-old man in the fictional Asian country of Tandomon. Po owns a used-book stall, but has always wanted to be a writer. When an American professor appears at his stall looking for information about a notable British author, Po decides to create stories about the deceased writer in hopes of receiving contributor’s credit on the professor’s book. The more Po finds out about the author, the more entangled he becomes in the lies. When the professor makes a surprise visit, Po’s stories veer almost entirely into fiction. Brown, who has taught at CSUN since 1996, said he was working on a follow up to his 2010 novel, “Far Afield,” when an image of a Chinese man in his late fifties, standing in front of a shop, appeared in his head. 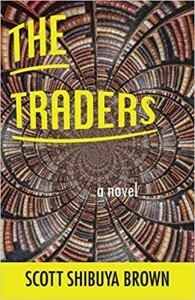 Brown said “The Traders,” published in November 2017 by Black Lawrence Press, practically wrote itself as the characters’ voices flooded onto the page. Po’s tall tales, Brown said, are commentary on the current state of media in the U.S., where sometimes it is difficult to tell what is real and what is a lie. As the lies are further entrenched in the story, it is hard to tell what is real, so much so that it seems that even Po has difficulty. And the character’s desire to be an author is clear in his extensive narratives. Returning to CSUN for the resumption of classes has forced Brown to put his writing on hold, but he has plans on continuing another book in the vein of “The Traders” when he doesn’t have papers to grade and lessons to plan. “I had so much fun writing in this kind of patois, I thought I am really enjoying this so why cut it short?” he said.